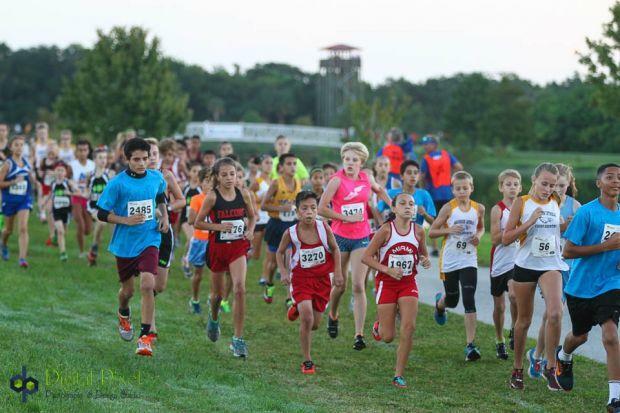 The middle school race at FLR is two miles (a hair longer than the usual 3K distance for this group), and both boys and girls run together. And with a hard right around the baseball field about 200 meters into the race, the start is fast and physical. So get your coffee, head down to the starting line, and get to know the future stars of the sport. With the fastest runner in the state thus far (Ani Veltcheva) running elsewhere, and the defending champion (Bella Pawloski) likely sidelined with illness, the individual race shapes up to be a repeat of last week's Holloway Park Jamboree, where Keleigh Scallon of the HTTR Tornadoes and Jacquelyn Abanses and Ellie Pleune of the Hillsborough Harriers entered the homestrech dead even. 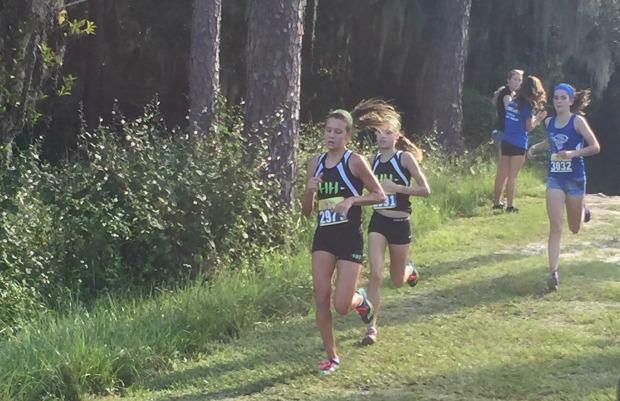 Keleigh outkicked Jacquelyn and Ellie to finish 1-2-3 in that order, but it was Ellie who came out on top at the Jim Ryun Season Opener, scoring her first major XC win, and it was Jacquelyn who finished first of the three here last year -- so look for a very close and competitive race. 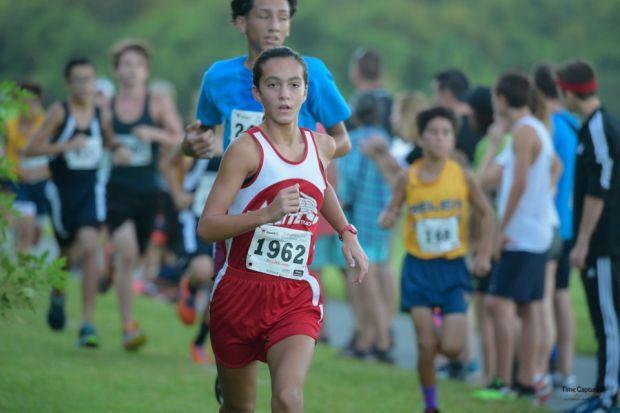 If anyone were to challenge this group of three, it most likely would be one of the returning Miami Elite runners: Paola Bencosme (3rd fastest returner and top 20 finisher at last year's State XC) and Danielle Martinez (4th fastest returner) being the fastest of the group. They haven't raced much this year, but Coach Aguas always has his kids ready for this meet. Other top entrants include Jessie Carff and Erin McAneny of the HTTR Tornadoes, and unattached runner Susie Doyle. 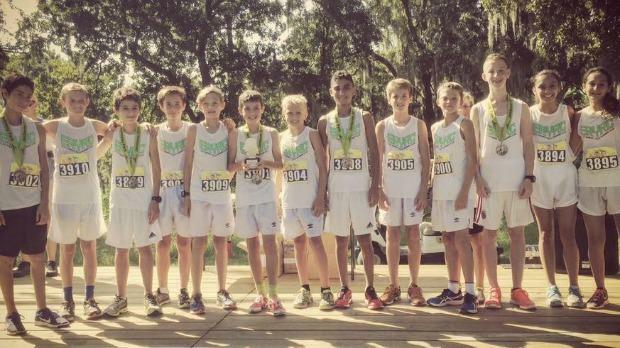 The defending champion Hillsborough Harriers and returning runner-up Miami Elite lost a lot of firepower to high school this summer, leaving the HTTR Tornadoes as a big favorite. But all three teams always seem to develop new talent and show up on the big stage, so look for a lot of blue, red and black/green singlets up front regardless of how they finish. The question isn't whether the "Big Four" boys teams from last year will finish at the top, but which of them will take the podium. The defending champ, Miami Elite, and runner-up Belen Jesuit return almost their entire teams, but the favorite might be the ascendant Elite Runner Fort Myers team, who sport perhaps the strongest top five in the state under the guidance of Coach Stowell. And, of course, you can never count out the Hillsborough Harriers when there is hardware to be won.